Lee, A. 2008. What is the economic contribution of cyclists compared to car drivers in inner suburban Melbourne’s shopping strips? 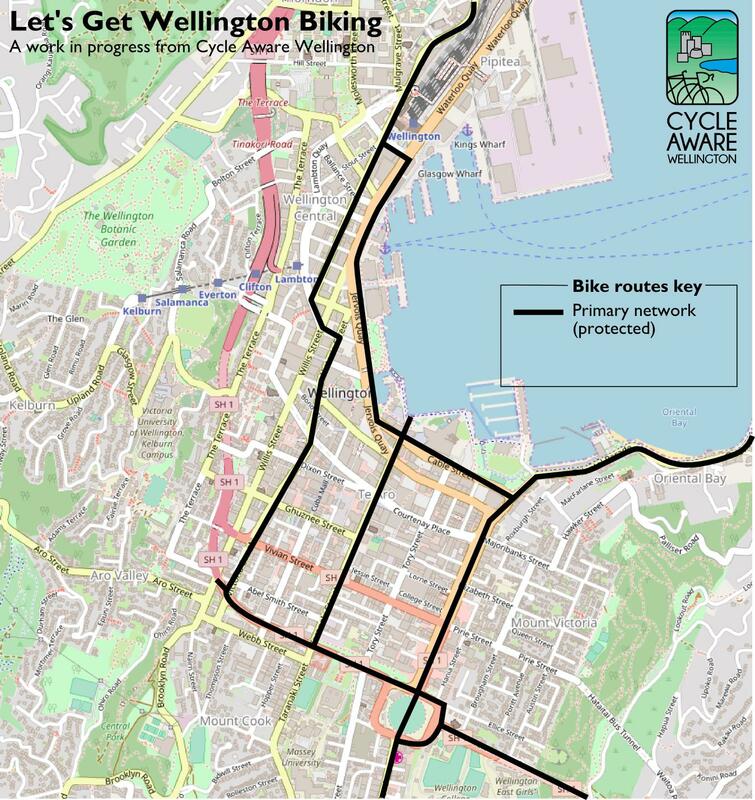 A recent news story features business owners concerned about the impact of the proposed southern cycleway – particularly the loss of parking. Should they be worried? As it happens, a lot of research has been done into the effects of cycleways on business. The conclusion is that cycleways have little or no impact on local business, and may have a positive impact. A Los Angeles study found no difference in retail spending between an area with bike lanes, and an identical area without. Salt Lake City found that a street with cycle lanes had an almost 9% increase in retail activity, compared with a 7% increase city wide. In Seattle, sales increased dramatically after a hotly contested bike lane was put in. People shop differently by bike. On a bike you may buy less than if you’re in a car, but you’ll shop more often, partly because it’s so easy to stop on a bike. A Portland study found that “bicyclists, transit users, and pedestrians …for all businesses except supermarkets, spend more, on average than those who drive”. A Toronto study showed that most cyclists spent over $100 a month, while most car drivers spent under $100 a month. In Melbourne, the hourly spend from a car park was $27; if the same space was allocated to bike parking, it would generate $97 an hour. But, you cry, these are Overseas Studies, not applicable to Aotearoa! Well, despite the little known clause in the Tiriti requiring waka space outside every marae, there are NZ studies that support the view that cycleways are good for business. An NZTA study concluded that “cyclists contribute a higher economic spend proportionately to the modal share and are important to the economic viability of local shopping areas” and “that retailers generally overestimate the importance of on-street parking outside shop”. A study of our very own Tory Street showed that removal of car parks would have little impact on business: the on street parks constituted only 2.5% of the available parks in the area, and only 6% of shoppers used the on street parks. Where would you want to shop by bike? Where would you want to shop by car? It makes sense that cycleways encourage people to shop locally. If you’re in a car, you’ll head across town to a big box retailer, with a couple of hectares of parking. If you’re on a bike, you’ll shop nearby, particularly if there’s a comfortable cycling route and convenient bike parking. Certainly, some businesses are dependent on car parking. If I’m going to Placemakers to pick up a load of timber for a construction project, I’ll take the station wagon. But Placemakers provide parking for their customers, rather than relying on ratepayer subsidised parking on the street. The motto of Natty Art Studio, one of the Adelaide Road businesses featured in the story about the cycleway, is “Shop small, support local”. 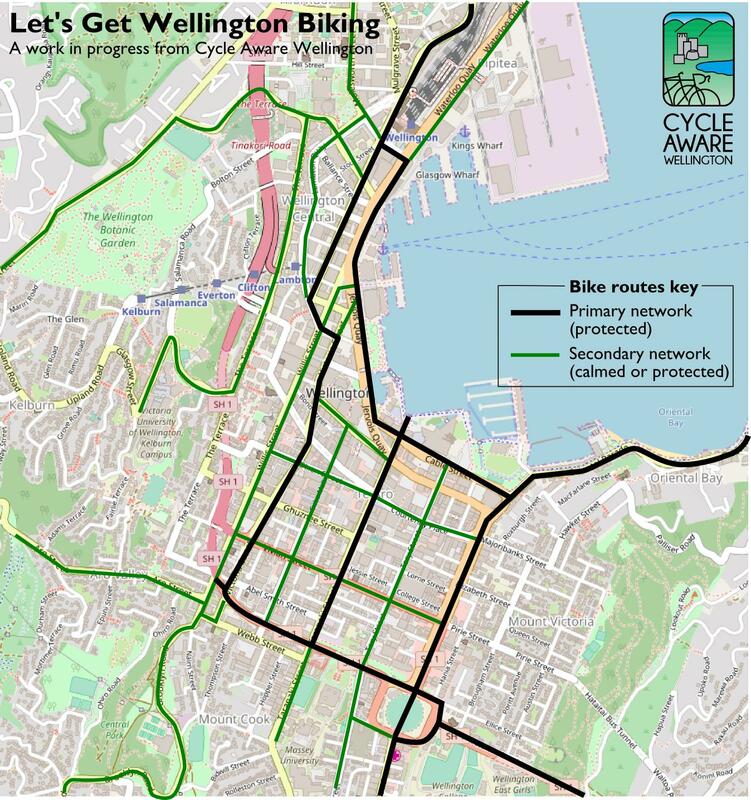 The good news is that the southern cycleway will achieve both of those objectives. In 1910, one new fangled car is parked on the street, and the rest of the road space is available for traffic. By 1930, up to 20% of the roadspace is taken up by parked cars. How does this relate to cycling? Virtually all cycling projects affect parking. To improve the Hutt Road shared path it will be necessary to reduce the (technically illegal) parking. In constructing the Island Bay Cycleway, some parking had to be removed to allow good visibility for residents entering driveways. On street parking is expensive. A US report calculates that land, construction and maintenance can cost US$1000-3000 per year for a parking space. In addition, there are environmental costs – parked cars don’t enhance the feel of a city – and opportunity costs – if car parking prevents us from building a bike lane, the parking has cost us the health, social, and sustainability benefits the bike lane would have engendered. But most on street parking is free, meaning that ratepayers subsidise people who store their cars on the street. This encourages decisions that are not good for the city as a whole. People buy a second or third car for their household, without having to factor in the cost of storage. The more cars you have access to, the more you drive, the greater the carbon emissions you produce, and the more congestion you create. People buy cars even though they are living in a house without off street parking, since ratepayers will subsidise their car storage. There are people who say “I NEED to park my car on the street”. This may be true. However subsidised parking means that many people park their car on the street because their off street parking is being used for other purposes. A survey of a Mount Cook street found that 80% of garages were being used to store things other than cars. Some people park on the street simply to avoid the hassle of backing out of a driveway! WCC’s Cycling Framework states that “The movement of traffic will take priority over on-street parking” and the Parking Policy says that “Street space is a scarce resource and priority for use for parking needs to be considered against other uses”. Dealing with parking when planning roading projects should be simple. We decide how much space is required for traffic: buses, pedestrians, bikes, and cars. If there’s space left over, we can consider using this for parking. A new approach to parking is not necessarily a bad thing for people who need to drive cars. Removing car parks enables traffic to move more efficiently, as an Australian motoring organisation acknowledges. Removing parking doesn’t have to mean that drivers can’t park. Donald Shoup, an expert on parking policy, points out that pricing can be used to ensure that at least 15% of parking spaces on a block are available. If the free space is less than that, we increase the price, allowing people to decide if they really need to park their car, or whether they’d be better to use another travel mode. CBD carparks now have sensors that detect whether a car is present. We could allow free or cheap parking until the 15% limit is reached, then increase the charge to free up parking spaces again. This technique of “demand responsive parking” has been successfully trialed in San Francisco. Changing subsidised parking is politically difficult. But we need to talk about parking, and change the conversation from “how can we save the parking spaces” to “is subsidised parking a good use of this road space?” That will help us achieve a livable city and sustainable transport. Want better cycling? Have your say today. Good news: the city council is planning to invest $4.3 million in cycling next year, up from $1.8m. But without strong community support, we could lose that funding, and be stuck with a few green bike boxes and crappy bike lanes. Our Council needs to limit any increase in rates, and also has to fund libraries, pools, events, earthquake strengthening etc. We need to let our Councillors know that safer and better cycling is a top priority. Please go to Draft Annual Plan 2014/15 and fill in the online submission form. Only takes a couple of minutes. The argument often comes up, whenever cyclists ask for better infrastructure, that they don’t pay for the roads. Thanks to Simon Kennett for producing this great infographic. Anyone know any retailers who’d appreciate a 49% increase in sales? Public health requires cycling infrastructure. Working together = working smarter. And here it is: Roger Geller’s presentation from the conference (with a little bit of the Wellington conference used as a filler when I had to switch cards). Again, please feel free to leave comments regarding key points (and time-codes) so we can use these to persuade the powers-that-be to give us some of those ‘pennies’! Does that potentially remove 15% of cars from the road? This does affect bicycling. Ugh… Now I have to read and understand it. Here’s the PDF, which is also available in hard-copy at most libraries. The same information is also available online, and there are some community sessions coming up. Now for a preliminary counter proposal to Wellington’s PT Review, How could it look instead? There’s some Q&A on Stuff. I’d also like to see a free loop around CBD, with [most] outlying services terminating at the loop. Transfers could be done from one end of the loop to the other. This would encourage people to not drive in CBD, and be a great local experiment (and foot in the door) for getting rid of the fare-box and moving towards 100% subsidized bus service. Don’t laugh, free buses have been proven PROFITABLE for cities around the world. Submissions are due by Friday 16 March. Before I make my submission, I’d like to hear what y’all have to say. Thanks for sharing! “This is the busiest we’ve been since we opened”. Any businesses here in Wellington that want to be the busiest they’ve been since they opened? Please contact your local council.